STRUMIS – SIGMANEST Bi-directional functionality for Plate Nesting. 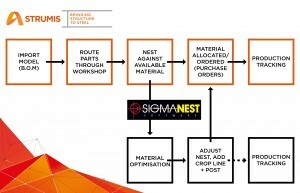 The webinar outlines the new enhanced features between STRUMIS and SIGMANEST. • Parameter sharing for work orders and marking. Learn how to reduce waste and maximize material efficiency during this webinar which focuses on how STRUMIS interacts with Hypertherm’s ProNest® CAM nesting software. If you have any questions during the webinar these can be typed into the ‘Questions’ panel and they will be answered at the end of the session. To attend the webinar click here. STRUMIS offers cutting edge technology to streamline your estimating process, from receiving a RFQ from your customer and on through the process of turning that estimate into a contract, STRUMIS allows you to more accurately and effectively track all aspects of your estimates. 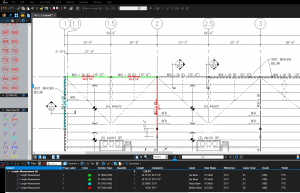 Estimates within STRUMIS can be performed in more ways than one, giving you the flexibility in performing takeoffs for your entire structural and miscellaneous steel project bidding needs. 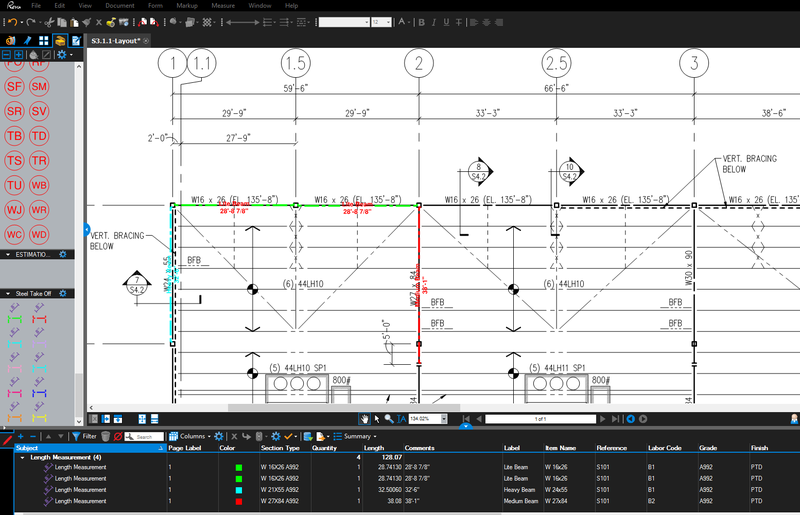 STRUMIS can handle your steel estimate in multiple ways; by utilizing model-based estimating, on-screen takeoffs utilizing our BlueBeam and/or PlanSwift integration, or manually taking off items and entering them quickly into our software. This gives the steel fabricator the flexibility from estimate to estimate in how they choose to perform each individual takeoff. 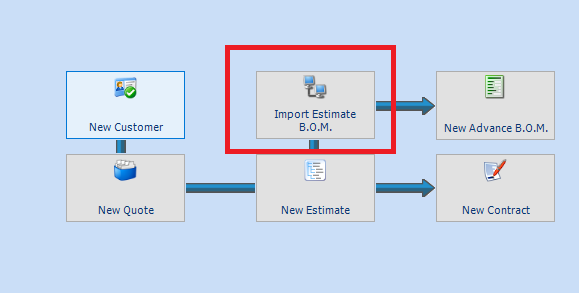 With model-based estimating in STRUMIS, users can import a model from our extensive interfaces with any and all 3D modeling software packages, and automatically apply labor and connection to material to those steel items that will be imported seamlessly into your quantity takeoff within STRUMIS. Our labor codes are applied parametrically, thus eliminating the need to go back in and change any connection material sizes after applying a labor code; STRUMIS does this work for you! If a fabricator chooses to perform an on-screen takeoff, STRUMIS works with a variety of software that allows the user to eliminate the need to perform the takeoff by hand from printed drawings. 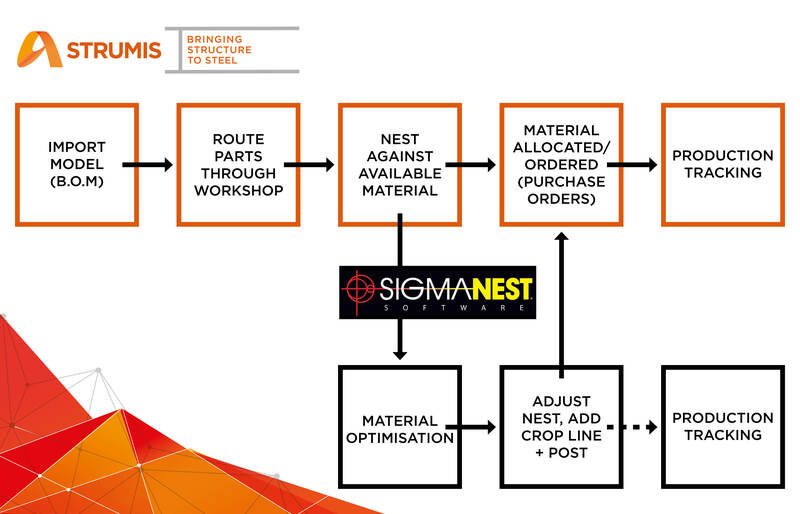 STRUMIS customers have exhibited significant cost-savings associated with STRUMIS’S on-screen takeoff software integration, because fabricators are no longer having to print large scale drawings and thus save on those expensive paper and printing costs. 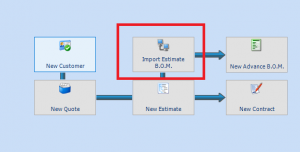 A simple pdf drawing file can be pulled up on the estimator’s screen, and with a few clicks they are able to add any steel item to their quantity takeoff, measure to scale that steel item, and apply labor and connection material to that item. Lastly, estimators can manually takeoff steel items with our extensive steel items library, match labor and connection material; apply various coatings/finishes to those items, and also the option to apply many other costs to each individual steel item or the entire takeoff. Regardless of which option in STRUMIS you choose to perform your steel estimate, our estimating software will reducing duplication, increase accuracy, speed up the estimating process and bottom line increase your company’s profit, with ease. Ready To Upgrade And Evolve? Waiting around for an upgrade can be a nightmare, especially when you know your competitors are getting regular software updates. Don’t get left behind in the Stone Age, let STRUMIS show you the future of steel fabrication. At STRUMIS we pride ourselves on talking to our customers and helping them in anyway we can. V10.1 is a product of the care and attention that we pay to our customers on a daily basis, as it was solely produced to provide added features and benefits based on our customers’ needs. STRUMIS is revolutionizing the future of steel fabrication, not just by ourselves, but along with our customers and partners. V10.1’s release continues the tradition of providing invaluable enhancements and continuous updates, including an array of functionality and control that is unique to STRUMIS and unmatched in the industry. These new features are driven by our continuous collaboration and communication with all of our customers, demonstrating our on-going commitment to our customers and the steel fabrication industry worldwide. New and improved features also mean new and improved benefits. STRUMIS V10.1 ensures better material and time savings, in turn reducing your overheads. In addition V10.1 provides increased efficiency and improved productivity. To see all of the new features being used in STRUMIS click the link below to watch a recording of the STRUMIS V10.1 webinar.